This vacation home features an outdoor pool. 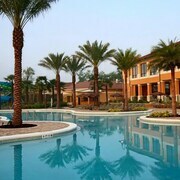 Situated in Kissimmee, this vacation home is within 1 mi (2 km) of Fun Spot America and Old Town. 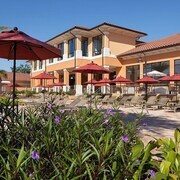 Falcon's Fire Golf Club and Celebration Golf Club are also within 3 mi (5 km). This smoke-free vacation home features an outdoor pool. The vacation home features 2 bathrooms and a DVD player, plus a kitchen with an oven and a microwave. A coffee/tea maker and a hair dryer are among the other amenities available to guests. Air-conditioned accommodations at this vacation home offer DVD players and hair dryers. Accommodations at this 3-star property have kitchens with microwaves and coffee/tea makers.